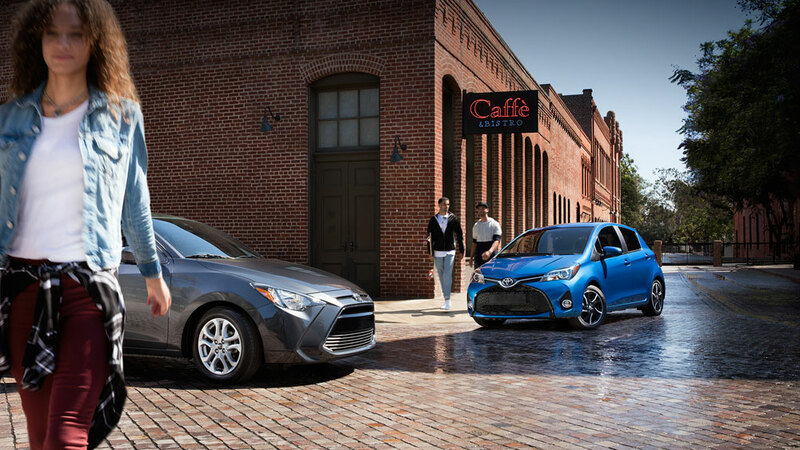 The Toyota Yaris is back better than ever for 2017, offering Santa Ana and Culver City drivers the same captivating drive alongside a fresh selection of top-notch standard features. This year’s model has been kitted out with the very latest driver assistance technologies, and it provides the spacious interior and outstanding visibility you need to make every drive feel natural and entertaining. Here’s everything you need to know. 3-Door L: Starting at an MSRP of $15,250, the entry-level model brings Santa Ana and Culver City drivers a strong variety of features, including a 6.1-inch touchscreen and Bluetooth wireless technology. 3-Door LE: Starting at an MSRP of $16,910, the LE upgrades your ride with 15-inch alloy wheels, a remote keyless entry system, and cruise control as standard. 5-Door L: Starting at an MSRP $16,375, this trim level adds a 5-door design to the L model’s standard features. 5-Door LE: Starting at an MSRP $17,285, this trim level adds a 5-door design to the LE model’s standard features. 5-Door SE: Starting at an MSRP $17,200, your top of the line SE comes fitted with a rear spoiler, leather-trimmed steering wheel, and 16-inch machined alloy wheels. The snappy Yaris isn’t designed to travel across the backcountry or tow large loads; this is a model that has been created for fun, responsive driving across the city. Its maneuverability makes it a blast to drive, and you’ll be able to harness up to 106-hp and 103 lb.-ft. of torque from a 1.5L four-cylinder engine, so there’s plenty of pep beneath the hood to keep you rolling commandingly when you need to head onto the highway. You can even add available sport-tuned suspension for enhanced driving enjoyment. 5-Speed Manual Transmission: Achieves up to 30 mpg in the city and 36 on the highway. 4-Speed Electronically Controlled Automatic Transmission: Makes up to 30 mpg in the city and 35 on the highway. 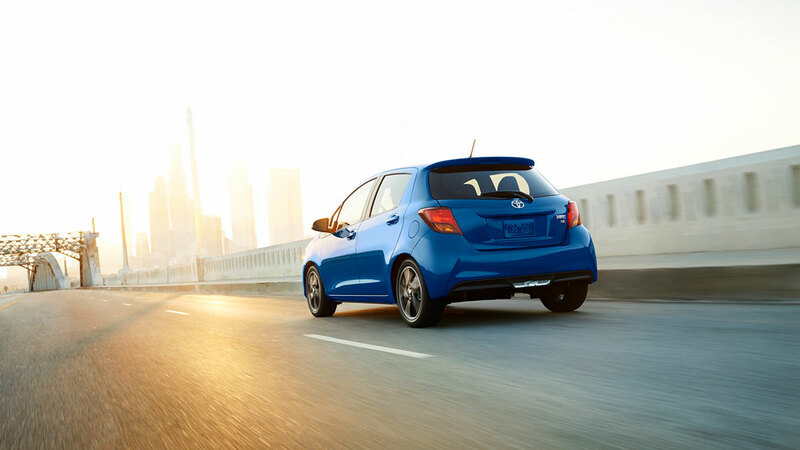 The Yaris might be tight and athletic on the outside, but you’ll find a surprising amount of space once you slip inside. With up to 85.1 cubic feet of passenger volume, everyone has space to breath, and there’s even up to 15.6 cubic feet of cargo space, so you can bring along everything you need with you. Of course, making more room is easy thanks to the versatile 60/40 split fold-down rear seat that comes as standard. The interior itself has been designed to evoke a sporty sense of style, with available white stitching and piano-black accents adding a dash of intrigue. Plenty of glass and minimal roof pillars combine to deliver excellent 360-degree visibility. 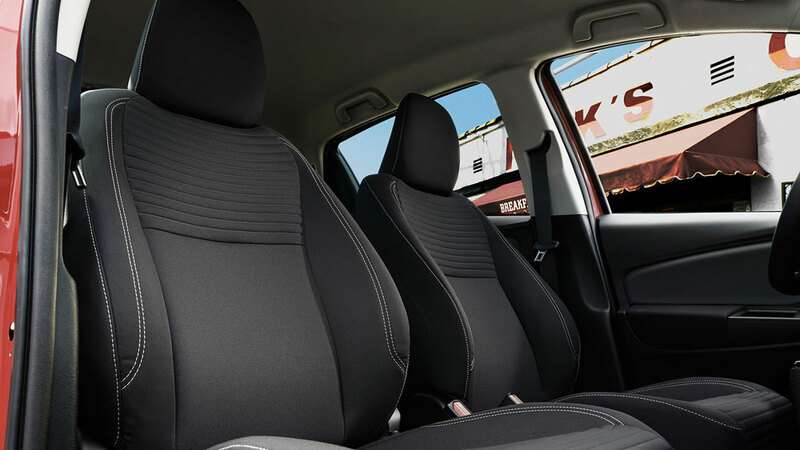 The 2017 Toyota Yaris doesn’t forget to treat Culver City and Santa Ana drivers to plenty of comfort and convenience amenities. 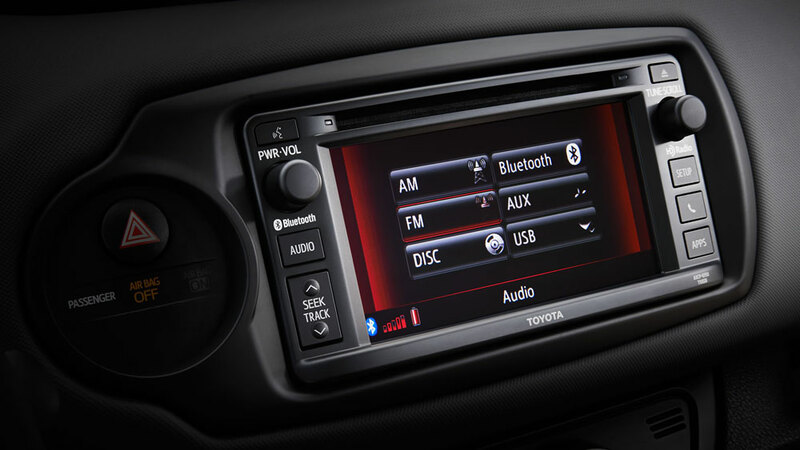 The most impressive is probably the Yaris Entune audio system, which offers HD radio technology with iTunes tagging, six-speakers, CD player, and hands-free phone capability, voice recognition and music streaming via Bluetooth, all through a high-resolution 6.1-inch touchscreen. Other standout features include the handy remote keyless entry system, which offers lock, unlock, and panic functions. As you might expect, the 2017 Toyota Yaris comes as standard with the Star Safety System, which provides Vehicle Stability Control (VSC), Traction Control (TRAC), Anti-Lock Brake System (ABS), Electronic Brake-force Distribution (EBD), Brake Assist (BA), and Smart Stop Technology (SST). Lane Departure Warning: Provides an alert if you begin to deviate from your chosen lane without signaling. Pre-Collision System: Should a frontal collision become likely, a warning will sound to let you act in time to prevent it. Automatic High Beams: Your Yaris will sense approaching cars and then turn off your high beams; after the car has passed, they will be reactivated. 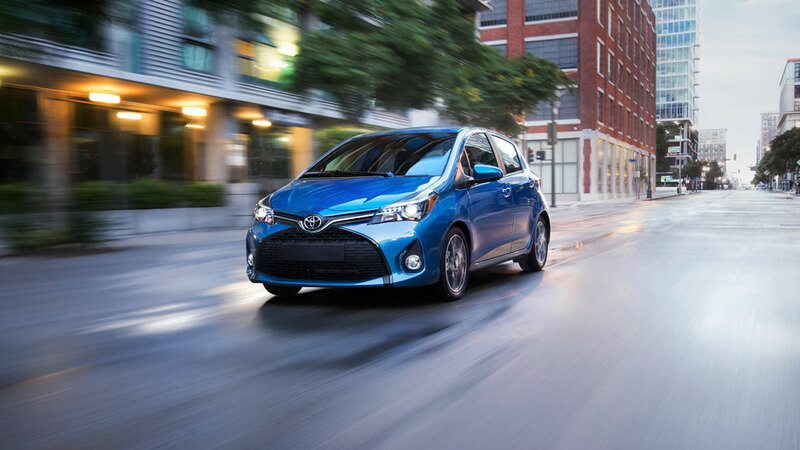 Such features are rarely available with a subcompact and usually reserved for the top trim level with even SUVs and sedans, but the Yaris lets you take advantage of them at no added cost across all models. The 2017 Toyota Yaris is a charming subcompact with power and space to spare, plus a whole host of state of the art features. To take yours for a test drive today, just pay a visit to the showroom here at Marina Del Rey Toyota.